I got my new 20 Franc coin in the mail just the other day. 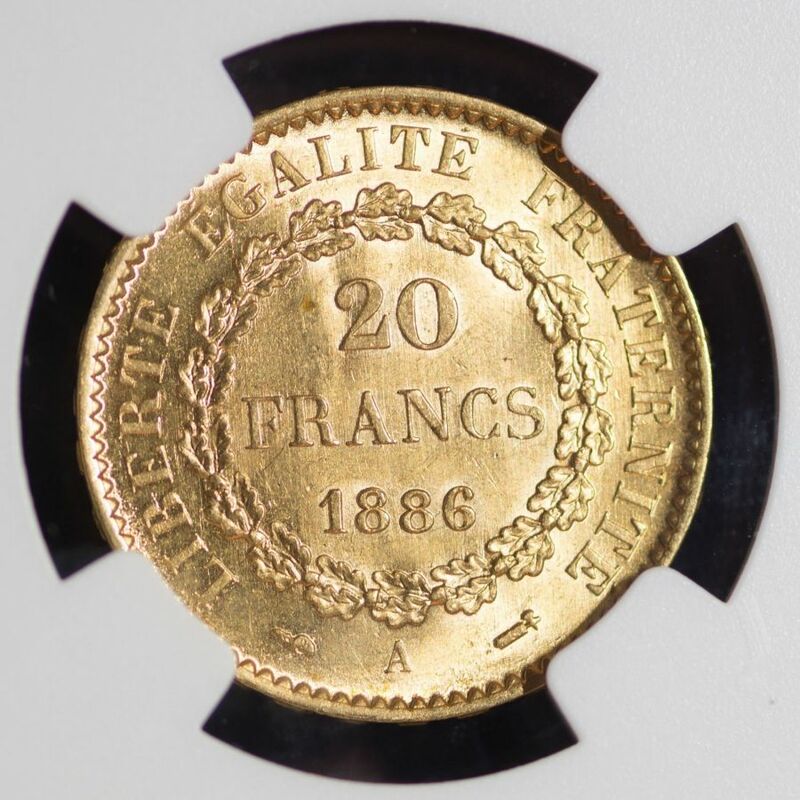 I’ve been watching a bunch of these late 19th century French 20 Franc coins on eBay through November, December and January. I’ve mostly been looking at examples in MS63 and MS64. The MS63s were more in the price range I was hoping for, but I was really hoping to get an MS64 – I like to stay in the MS64+ range with these purchases. Most of the sellers have been wanting $440-500 for an MS64, depending on the date. After having a relatively easy time picking up the 10G coins in MS65 for $300, this left me with a little sticker shock – a feeling I’m familiar with from looking at US gold on occasion. I knew I was going to pay more for this coin that I have for the 10Gs recently in all likelihood, but I was still hoping to get it for more in the range of $370. I’ve seen cases where the sellers had taken offers for $350-360 depending on the date, but these purchases were from late 2016 and the recent rise in the price of gold seems to have made them more resistant to taking those prices for them. At the same time, the fact that they’ve been listing these coins for 2-3 years and haven’t sold them also served as an indication that I’m not the only one resistant to these prices at the current price levels for gold. Wednesday night, after having my offers for 1877s rebuffed, I found an 1886 in MS64 in an auction ending late on Friday. 1886 is also a pseudo-significant date for me because it’s 100 years before my birth year and so I have a little extra affinity for coins from that year. It was going for $260 with an unknown reserve price set. I decided to watch, wait and maybe go for it. 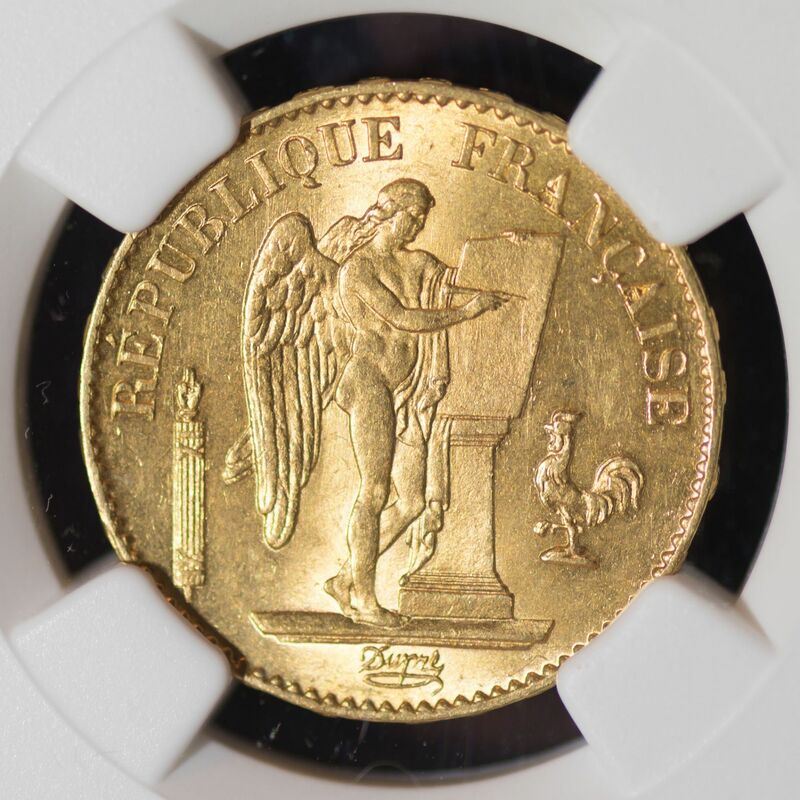 The seller is an NGC / PCGS dealer, a PNG member and an ANA member with 100% positive feedback and a score of over 2,800, so it seemed like a safe merchant to go through – something I always like to have some confidence in. Friday arrives and the coin hasn’t gotten any more bids and it’s still going for $260 with about 90 minutes left before it ends. I decide to start bidding up in about $25 increments to try to figure out what the reserve is, hoping it would be about $300-325. It turned out to be $349.99. I put in a final bid of about $375 and decide that I’ll either win it for that or less or I’ll just wait a little longer to get one – no one else bids and I take the coin for $349.99 + free shipping. I have some mixed feelings about the outcome. I got the coin, in a date and grade that I wanted, for the low end of the price range I was hoping to originally get it for. Overall, that makes me happy with the outcome. However, the fact that no one else bid more than $260 (which is only about $10 higher than the current melt value of the coin) makes me wonder if you can really call this an auction. This was basically the seller setting / determining the price with the reserve and the final sale price was not determined organically through the bidding. It may just be hat the audience for that coin just didn’t show up that day / week, but it does make me wonder about the state of the market for these coins – fortunately, I don’t look at these as investments, and I was happy enough with that price for the grade and I think that’s bottom line on the issue. But I am glad I resisted paying $400+ for one long enough to find this one. And, with that, I have officially “blown my wad” (such as it was), for now. Unless things work out very well with the raise / bonus situation and with the pregnancy in such a way that I can’ use part of my bonus for collecting, that will be the last major purchase for a while and my next endeavors will be less capital intensive. In the last 3 months I’ve knocked out two coins I’ve wanted for a while. After reading through your thought process involving grade and price, I feel like you made a well thought out and good purchase. I also clicked on the link. I'm glad that you and your wife were able to sit down together and make those purchases. I think it's either 0.185 or 0.19 troy ounces of gold weight. Something like that but I don't know the exact number off the top of my head. I haven't been able to get my pictures up on a journal that will come in time.but info add it to my set in British tokens and medals of the 18th century. If the problem is you don't have the files on your computer or don't know where they're saved I can't help you much there, but if the problem is knowing how to use the site the snip / screen cap below might help. The upper block is where you add files to incorporate them into the post. You click the "choose files" text (I highlighted this) to open up the dialog box and pick the pictures you want. If you don't do anything past that the site just puts the pictures at the bottom of the post. You can integrate the pictures more fully into the post and not have them just at the bottom but doing that requires a little more explanation and I'm not sure how best to explain that. To add a banner image that shows up at the top of the link to your post you have to add that file using the "featured photo" option (I highlighted around the button) that is beneath the general image upload.